» REDUCE YOUR COST! 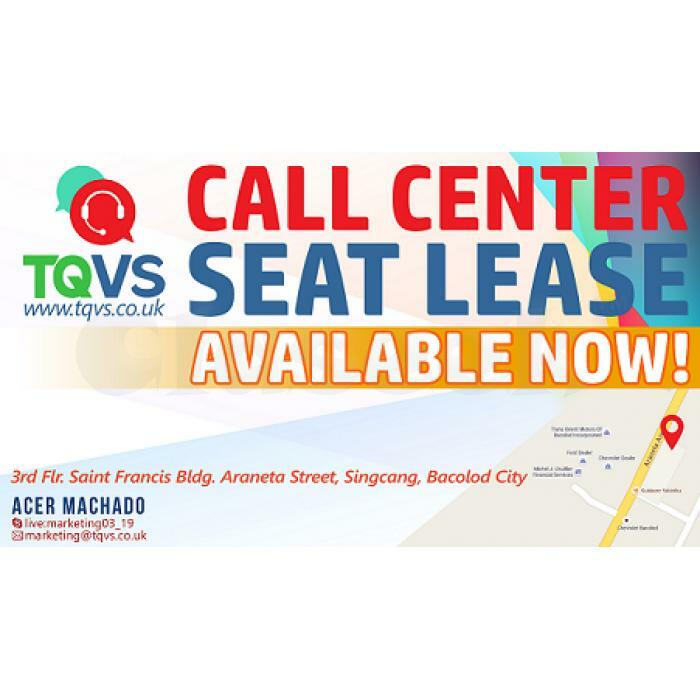 LEASE YOUR SEATS TODAY WITH TQVS! REDUCE YOUR COST! LEASE YOUR SEATS TODAY WITH TQVS! Salaries plays a big roles in Call Center Business. In Bacolod you pay less of the agent rates compare to Metro Manila and Cebu.